Smashfest allowed the customer to play the beloved 1999 videogame Super Smash Bros. on multiple large projector screens with surround sound for a chance to win a $50 cash prize! This was a Color 5K that was hosted by the IBC. The Falling Colors 5k was sponsored by five local companies including Neapolitan, Resound Radio, and Beans n’ Cream. The advertisers also helped promote the event through allowing advertisements of the event in their places of business. This 5K earned the IBC $1930 in profit. The Winter Classic had a lot of people excited and talking about it. The planning behind the event went well and all of the logistical aspects were well organized and prepared for the event. Unfortunately, because of the timing of the event, the Winter Classic was cancelled in the week leading up to it. Though we were confident that some sales could be generated, the winner of the tournament was guaranteed a $250 cash prize, and the amount of work that the tournament would have required from Spectrum Solutions as a whole was not worth the little or no profit that would have been generated by the event. The IBC Rummage Sale featured leftover products that had not been sold during previous IBC companies, including posters, basketball hoops, silly bands, stickers, and much more. All of these products came out of previous IBC inventory at no cost to the IBC. Spectrum Catering partnered with Oinkadoodlemoo, a BBQ restaurant from the Dayton area to bring dining variety to Cedarville. The IBC worked with them to host two major events over the course of the semester. 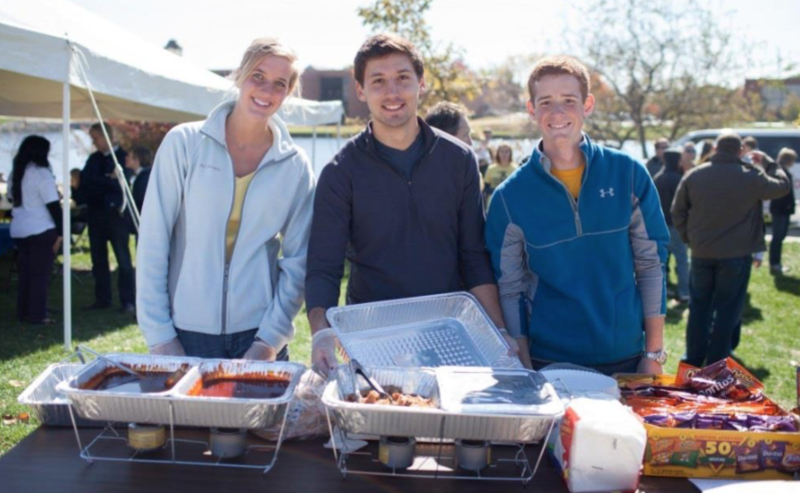 The first occurred on the weekend of Cedarville University’s Alumni Homecoming event. The second event, “Chow & Chill”, was an event for Cedarville students paid for by the Resident Directors of their Resident Halls and catered by Spectrum Catering. The Buzz is the initial product launch for Cedarville Connect, a marketing and communication agency that exists to provide local businesses with an effective and unique outlet for directly reaching Cedarville University’s student body, faculty, and staff with marketing messages. Our product is a professional and appealing booklet filled with advertisements and coupons from local businesses. “45 Days In The ‘Ville” contains 45 inspirational devotions written by faculty and staff members at Cedarville University, including well-known contributors such as Dr. Brown and Pastor Rohm.